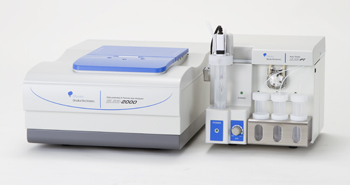 In addition to existing zeta potential and particle size measurement, molecular weight analysis function is newly added. (Particle size :0.6nm-10um/Concentration range: 0.00001%-40%). 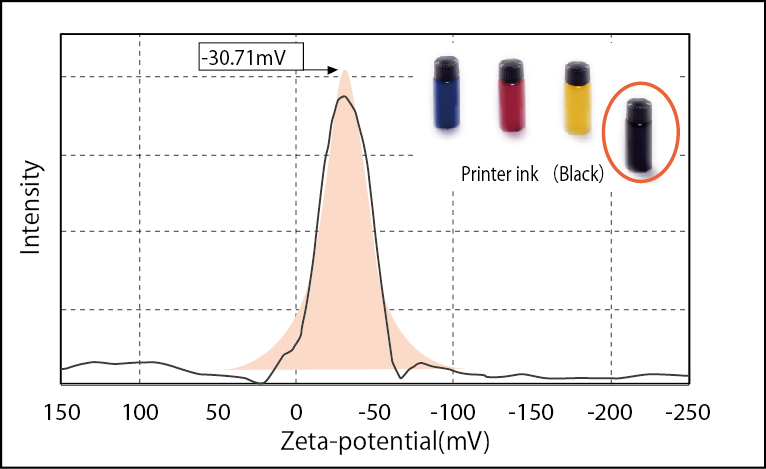 Electro-osmosis measurement enables high precision analysis of zeta potential using micro-volume (130ul) disposable cell. 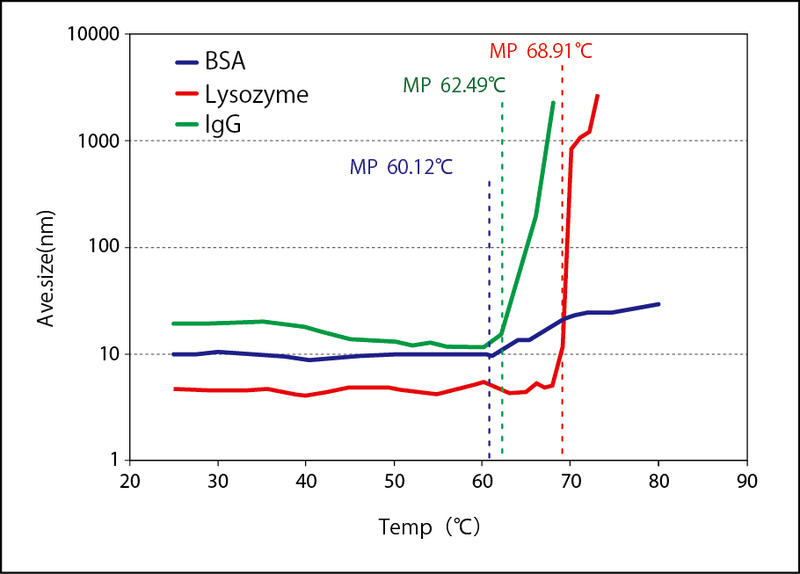 Furthermore new auto temperature gradient function with extended range between 0 and 90℃ makes melting point and phase transition point analysis possible. 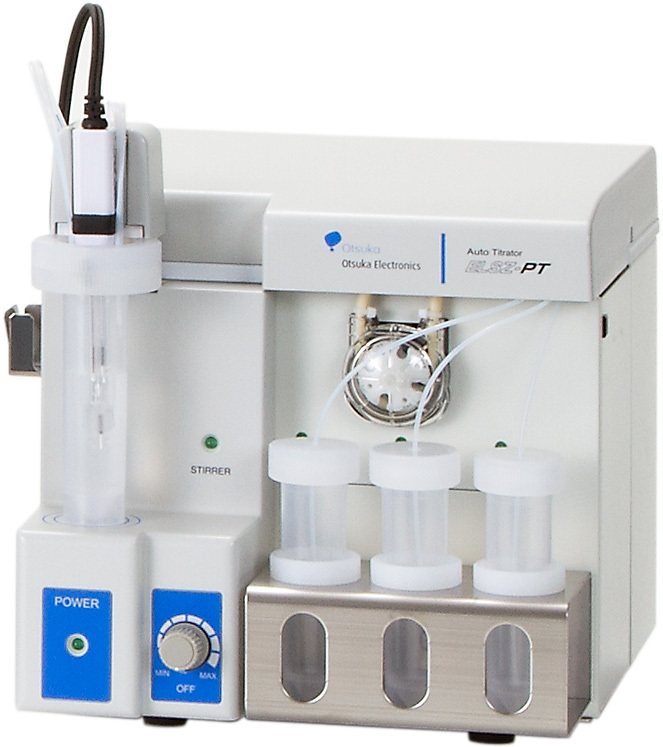 Supports zeta potential measurement of salt condensed sample. Best suitable for basic and applied research of particle characterization in the field of surface chemical, inorganic, semiconductor, polymer, biotechnology, pharmaceutical and medical as well as surface research of film and flat state sample. Particulates dispersed in a solution are normally subject to Brownian motion. 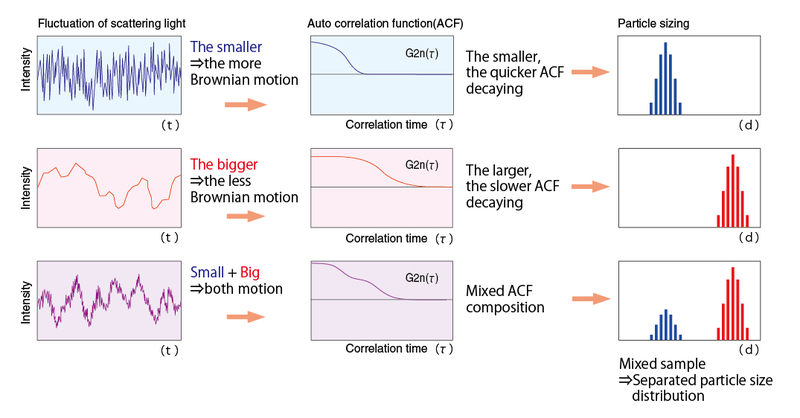 The motion is slower with larger particles and faster with smaller particles. 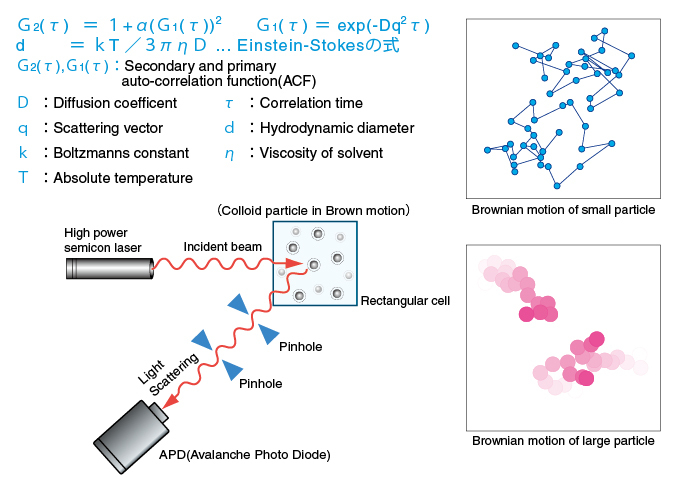 When laser light illuminates particles under the influence of Brownian motion, scattered light from the particles shows fluctuation corresponding to individual particles. 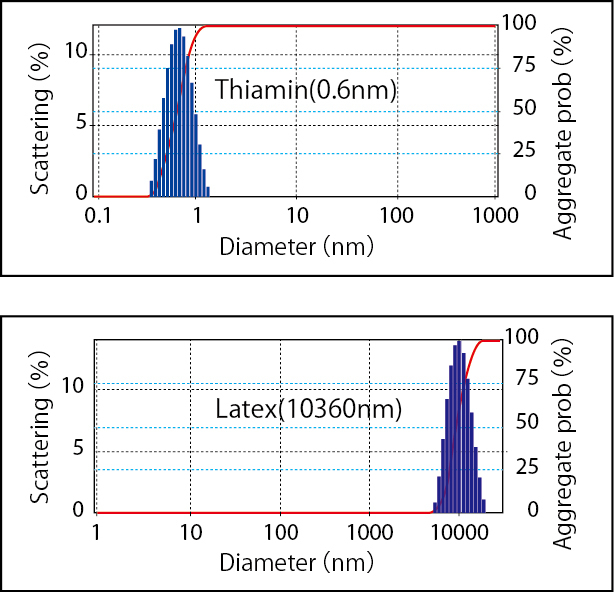 The fluctuation is observed according to the pinhole type photon detection method so that particle size and particle size distributions are calculated. In most cases, colloidal particles possess a positive or negative electrostatic charge. As electrical fields are applied to the particle dispersion, the particles migrate in oppositely charged directions. 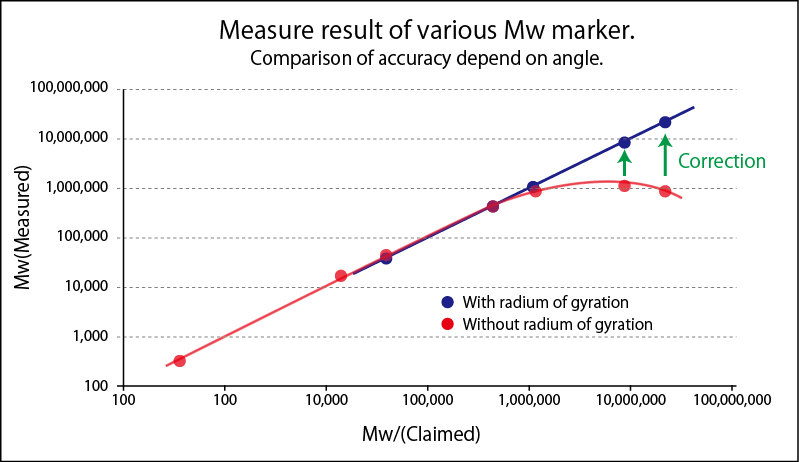 As particles are irradiated in migration, scattering light causes Doppler shift depending on electrophoretic mobility.This method is called Laser Doppler Method. k=2a and 2b are respectively the horizontal and vertical length of square phase of cell. Here a>b. 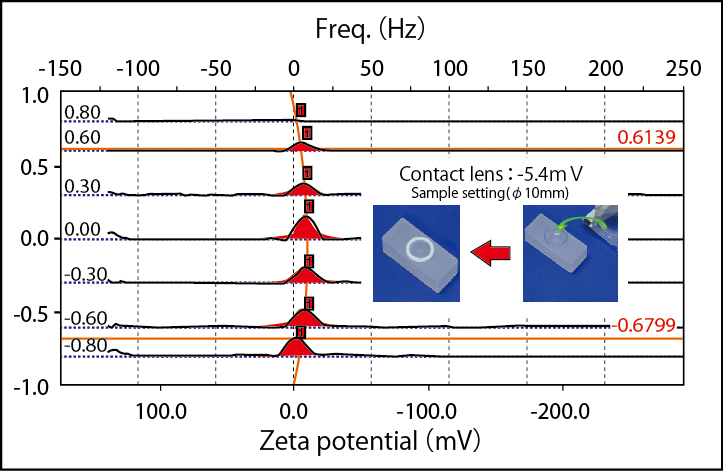 Apparent electro-osmosis measure at multiple points inside cell enables repeatability check of zeta potential and noise or peak determination. 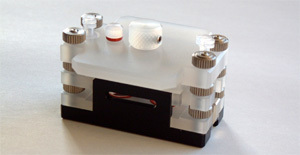 Solid sample cell is configured with box-like quartz cell with flat surface sample attached on it. 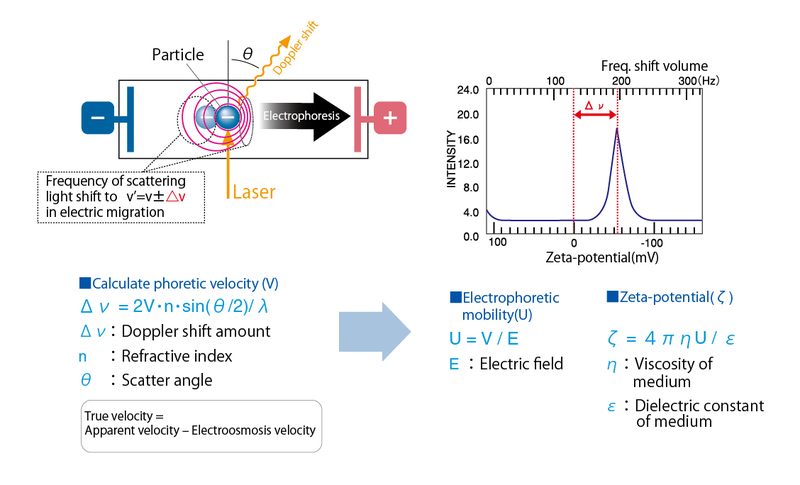 Measure apparent electrophoresis mobility of monitoring particle at several positions in vertical inside cell and analyze mobility of electro osmosis on solid surface using electro osmosis profile obtained to calculate zeta potential. 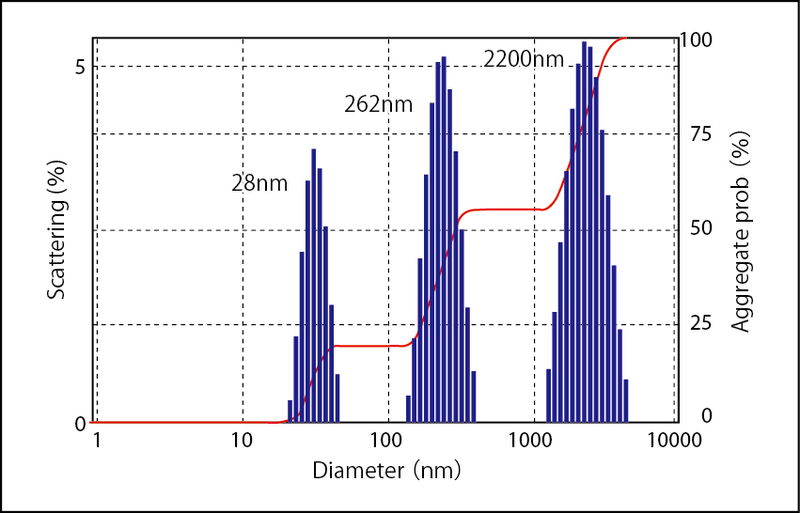 Molecular Weight : Static Light Scattering Method. Static Light Scattering Method is renowned as the convenient method to know absolute molecular weight. 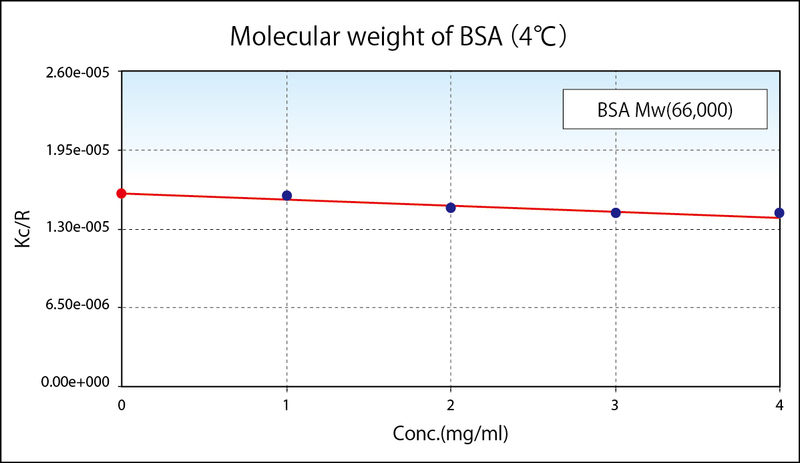 As a principle, molecular weight is calculated from absolute value of scattered light obtained by irradiated light into colloidal particle. To simplify, from the bigger particle gives the stronger scattering and the smaller particle gives weaker scattering. In reality, scattering intensity to be obtained depends upon concentration, too. So the plotting concentration on horizontal and Kc/R(θ), which is equivalent as a reciprocal number of scattering intensity, on vertical after measuring scattering intensities of variable concentrations is called Debye Plot. 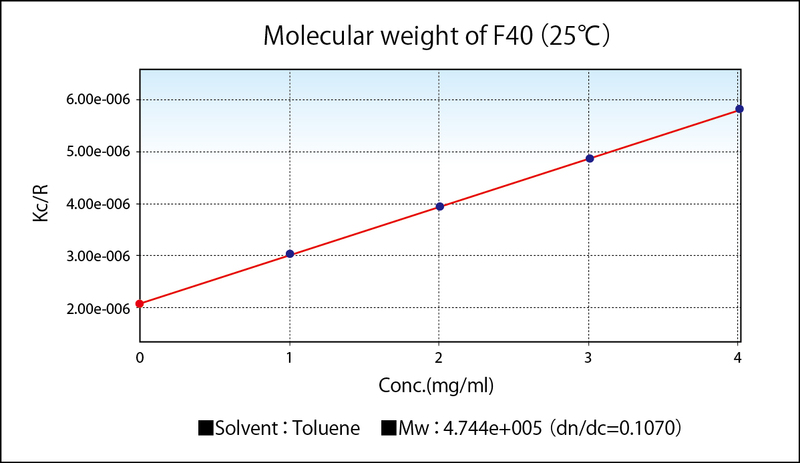 Second Virial Coefficient expresses the degree of attraction and repulsion of monomers, giving the yardstick of affinity and crystallization against molecule of solvent. Given A2 is positive, repulsion in molecules is big in high affinity good solvent, it exists steadily. Given A2 is negative, affinity in molecules is big in low affinity poor solvent, it aggregates easily. 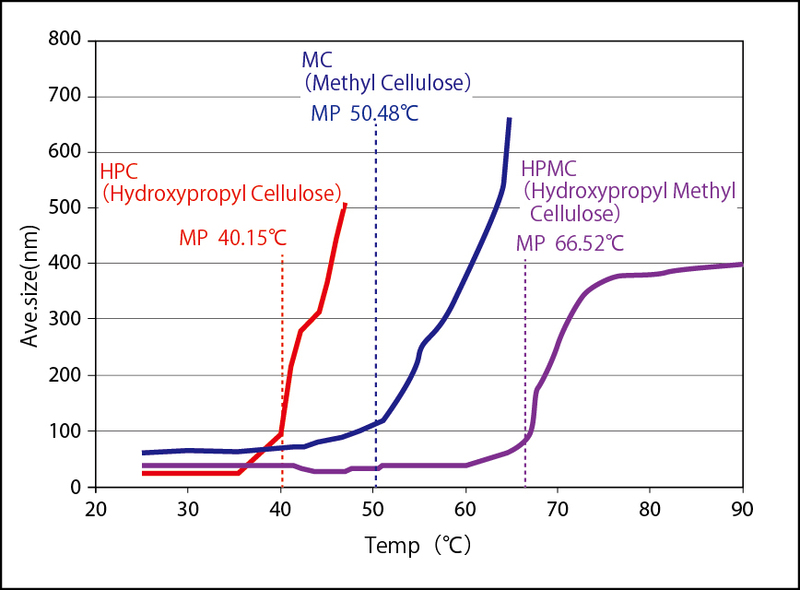 Given A2 is zero, the solvent is called theta solvent and its temperature is called theta temperature where attraction and repulsion are proportional, causing crystallization easily. 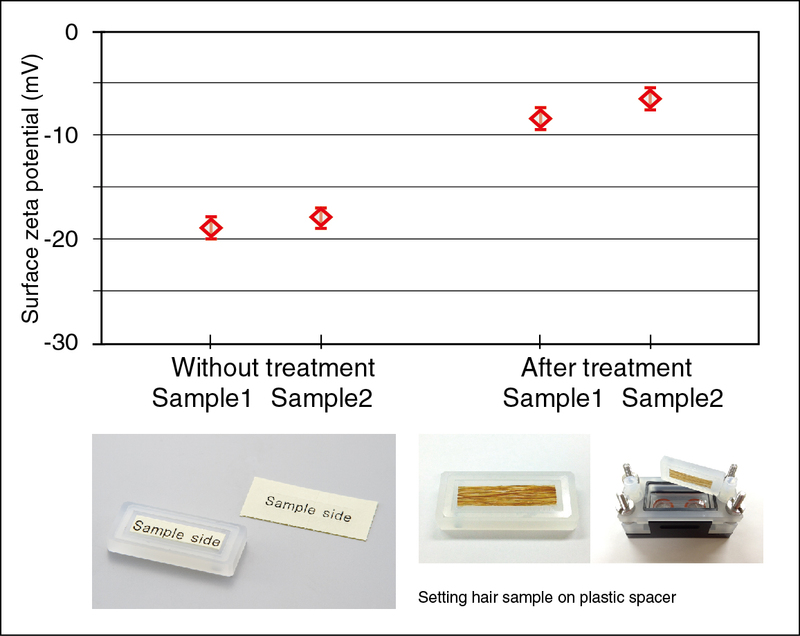 Solid sample cell enables surface zeta potential measurement of film or plate like sample. The principle employs the electro-osmosis caused from surface charge of cell. It runs electro-osmosis assuming that one cell inside wall being replaced with solid state sample. The surface charge of solid state sample affects electro osmosis followed by analyzing with Mori-Okamoto equation to obtain zeta potential.